The Intel Core i3-8300 is a new quad-core processor based on the "Coffee Lake" silicon, part of the company's second wave of 8th Generation Core processors, to expand choice on its 300-series chipset platform. This part sits bang in the middle of the Core i3-8100 quad-core and unlocked i3-8350K quad-core chip. AMD's successful Ryzen family of processors forced Intel to increase mainstream desktop processor core counts by 50-100 percent. The Core i5 and Core i7 series received 50 percent increases and are made up of 6-core parts, whereas the Core i3 series, which were dual-core until the 7th generation, received a 100 percent core-count increase and are now quad-core. 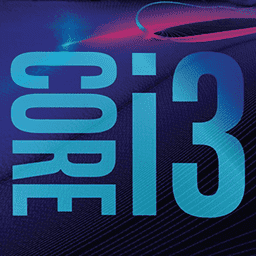 Within the Core i3 series, Intel nurtures two distinct sub-variants, the Core i3-x100 series and i3-x300 series. The two are usually differentiated by L3 cache amount. i3-x100 series SKUs from past generations featured 3 MB of L3 cache and were priced under the $140-mark, while the i3-x300 series SKUs packed 4 MB of L3 cache and were priced anywhere between $140-$180. With a 100 percent core-count increase comes a proportionate increase in L3 cache size. 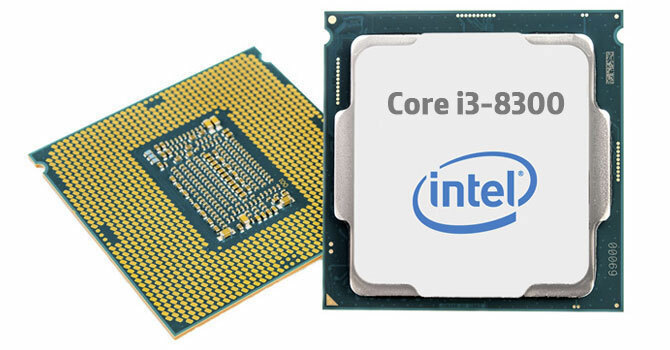 The Core i3-8100 which was part of Intel's first-wave of "Coffee Lake" chips, has 6 MB of it, while the i3-8350K has 8 MB. The new i3-8300 resembles the latter and comes with 8 MB of L3 cache. Core i3 series desktop SKUs historically lacked both Turbo Boost, and the same is the case with the Core i3-8300. A minor 100 MHz in clock speed differentiates the i3-8100 from the i3-8300, besides L3 cache size. The i3-8300 is clocked at 3.70 GHz, 100 MHz higher than the i3-8100. The integrated graphics solution is almost the same between the two; you get UHD Graphics 630, armed with 24 execution units and 350 MHz nominal clocks, although the iGPU boost frequency is 50 MHz higher on the i3-8300, at 1.15 GHz. The 100 MHz speed bump Intel coupled with 33 percent more L3 cache results in the Core i3-8300 being priced $20 (20%) higher than the i3-8100, at $139. Unlike the i3-8350K, it lacks an unlocked base-clock multiplier. In this review, we examine if the i3-8300 has enough muscle to warrant its increased price over the cheaper i3-8100 and similarly priced AMD Ryzen 3 1400.